Small Group Training provides the benefit of more hands on coaching than the typical larger class setting. Our small group training is up to 12 people doing the same workout under the instruction of a certified fitness instructor. You benefit from world-class coaching, a well planned structured workout, and accountability from your coach and fellow group members. Some clients will do all small group training and some mix in services like one on one personal training, or semi private personalized training. Having this option provides you the benefits of working with a specific coach while it also allows your budget to stretch a bit further. Why Choose Small Group Training? Do you find yourself struggling with the typical gym membership because you just don’t know what to do when you get to the gym or feel intimidated? Perhaps you’re struggling with motivation because you lack accountability. Don’t just keep pushing your workouts to next week! We offer an affordable option for those that want to belong to a family atmosphere that is focused on helping members build healthy habits. All Small Group Training sessions are coached by certified personal trainers in groups up to 12 per session. 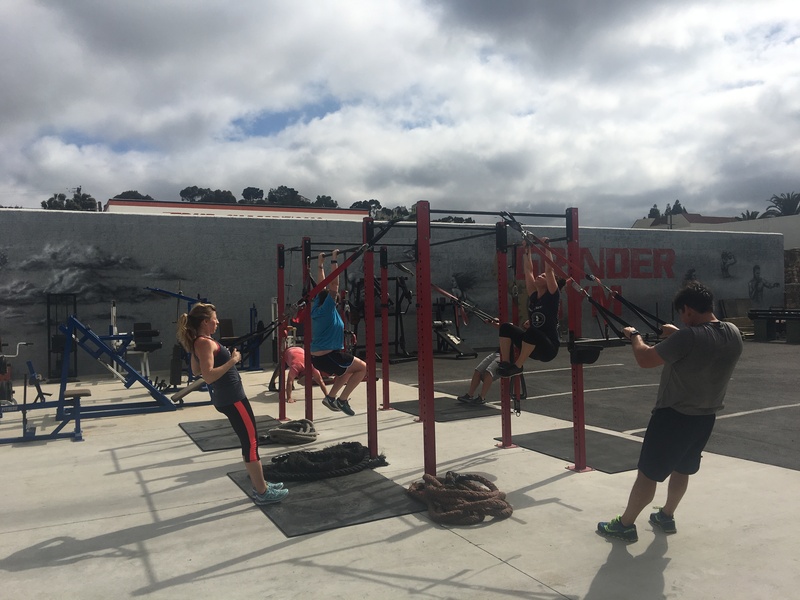 All small group sessions include a variety of classes involving; core training, strength & conditioning, cross training, kettlebells, dumbbells, resistance bands, suspension training systems, medicine balls, sandbags, sleds, and battling ropes. With Small Group Training we manage your workouts for you. No more unused gym memberships. No more starting over. No more questioning what to do when you get to the gym. Our goal is to make you better and hold you ACCOUNTABLE! Body Measurements, body fat testing, weigh ins, before photo, and fitness assessments are needed on each client so we can track your progress and the success you are having with both your training and nutrition. Options and flexibility are important to your success. You have over 20 small group training sessions per week to pick from. If needed you can combine other services so that you always have the right combination of services for your needs. Follow ups provide both motivation and accountability. The same “spark” that got you started is not enough to keep you going. We want to help you maintain that fire for success by providing you the fuel you need. Our programs have worked for thousands of people over the years and we’re confident they will work for you, too. However, it is always important for us to be aware of your goals as they change so we know exactly what plans and programs are best for your needs. Anyone training with us should be keeping a training log using the Grinder Gym Workouts App. We provide you the tools to track your training progress. This also allows our coaching team to review your training progress. Everyone knows food plays a critical role in a healthy lifestyle and that’s what makes our programs different and so valuable. Join in with small group training at any time and book into sessions that best fit your schedule. You can purchase single classes or go with the monthly membership option. If you would like more information about our Small Group Training please contact us today!